Long ago, a canny demon made a pact with captured Air Elementals. In return for release, the Elementals granted this demon virtual immunity to the thunderbolts of the skies. In the fullness of time, the demon gained the ability to channel said electricity, and discharge it in devastating bolts of destruction. This led to creation of Lightning demons. They have since used their powers to terrorize the Sanctuary. The most powerful of those have risen to become the storm lords. Now Maelstrom, the storm lord has found his way to the worlds of Nexus. Maelstrom is a ranged bruiser who focuses on sustained damage and disruption. His trait gives him both selfsustain and ability to stun his opponents. LIGHTNING CHARGE	Autoattacking enemies applies stacks of Lightning charge to them. Maelstrom gains shield equal to 1.25 his maximum health for each stack applied. This is doubled against enemy heroes. Shield lasts for 5 seconds and gets refreshed with new stacks. When enemy gets 4 Lightning charge stacks they are stuned for 0.3 seconds and the stacks are removed. Shield gained from trait is capped at 20% of Maelstrom's maximum health. Launch ball of lightning in the targeted direction, deals 150 to first enemy it hits and applies 2 stacks of Lightning charge. Also deals 50 damage in a small area and applies 1 stack of Lightning charge. Cover an area in thick fog. Enemies in the area are blinded and slowed by 20%. Mist lasts 3 seconds and deals 10 damage every 0.2 second. If enemy gets 4 stacks of Lightning charge in the fog other enemies in the area take 30 damage and get 1 stack of Lightning charge. Maelstrom becomes surrounded in lightnings, gains 50% more movement speed and can pass trough other heroes and units. This effect lasts 2 seconds. Enemies he passes trough take 90 damage gain 2 stacks of Lightning charge. Leap to target location, dealing 60 damage to enemies on landing. Passive: Gain 10% more movement speed. Gain 10 armor and the duration of incoming Stuns, Roots, Slows, and Blinds is reduced by 50%. Gain 100 mana and 10% increased spell power. Passive: Deal 55 damage and apply stack of Lightning charge to nearby enemies every second. Unleashes wave of cold in the targeted direction dealing 205 damage and rooting enemies for 1 second then slowing them by 50% for 2 seconds. Six lightning strikes hit enemies in a tageted area every 0,6 second dealing 61 damage and applying 1 stack of Lightning charge. Prioritizes heroes and one enemy can only be hit by 3 lightning strikes at once. Clouds gather: Quest: Apply four stacks of Lightning charge to enemy heroes under the effect of DEMONIC FOG (W). Reward: After applying stacks 20 times cooldown of DEMONIC FOG (W) is reduced by 0.5 second when enemy hero gets four stacks of Lightning charge when affected by DEMONIC FOG (W). Static discharge: Every 6 seconds, gain 50 Physical Armor against the next enemy Hero Basic Attack, reducing the damage taken by 50% also deals 15 damage and apply stack of Lightning charge back to the enemy. Thunderblast: Applying the fourth stack of Lightning charge to enemies hit with THUNDERBOLT (Q) or within 1 second after being hit increase the damage of next THUNDERBOLT (Q)	by 30% and reduce it's cooldown by 2 seconds. Reap the whirlwind: Quest: Gather regeneration globes. Reward: Every regenration globe gathered garnts 10 maximum health up to 200. Reward: After gathering 20 regeneration globes gain additional 50 maximum health. Wild ride: RIDE THE LIGHTNING (E) now grants Unstoppable. Poisoned fog: DEMONIC FOG (W) applies poison which deals 100 damage over 4 seconds. Lightning feedback: The fourth stack of Lightning charge gives 2.5% maximum health as shield. Festering vapours: DEMONIC FOG (W) heals allies in the area for 2% of their maximum health every second. Disruptive lightning: Each stack of Lightning charge decrease target's spell power by 2% for 3 seconds. Electric shock: 4 stacks of Lightning charge now stun enemies for 0.5 second and reduce their movement speed by 10% for 2 seconds. Fog of war: DEMONIC FOG (W) grants 10 armor to allies in the area. Absorb magic: Gain 10 Spell armor while shield from Lightning charge is active. Maelstrom is healed for half of the damage this prevents. Electric burns: 4 stacks of Lightning charge now reduce enemy armor by 15% for 2.5 seconds. Thick fog:DEMONIC FOG (W) now reduces vision of enemies in it's area to 2. Also increase it's duration by 1 second and it's area by 20%. Lightning and the thunder: Applying four stacks of Lightning charge increase the damage of next THUNDERBOLT (Q) by 15% up to 45%. ARCTIC WIND:Reduce cooldown of the FROST WIND (R1) by 10 seconds and both it's root and slow duration is increased by 1 second. Fury of the storm lord: Increase attack speed by 10% and autoattacks now slow enemies hit by 20% for 3 seconds. Enemies that get stunned by Lightning charge retain 2 stacks. DARK Storm: THUNDER STORM (R2) now has 8 lightning strikes and applying four stacks of Lightning charge reduces THUNDER STORM (R2) cooldown by 2 seconds. Ball lightning: THUNDERBOLT (Q) gains second charge and it's damage is increased by 10% and it's AoE is 20% bigger. Short circuit: Maelstrom can activate his trait to grant nearby allied heroes 2 charges of Static discharge. He gains shield from stacks of Lightning charge applied by this. Has 60 seconds cooldown. Maelstrom looks somewhat similar to Diablo but he is skinier and has dark grey skin and small wings. He has claws on his hands and they are surrounded by white lightning. High Templar(maybe Archon) Maelstrom-fits the lightning and shields theme of his abilities. Probably with Taldarim and Nerazhim recolors. Mecha Maelstrom- Again lightning and electricity fits here and level 7 visual changes could work like uprages/addons. Interesting design for a demon and a lightning one at that, sort of reminds me of Revenant from the old Warcraft 3 Dota map, While the Mists of Hell part seems odd i can't deny it looks interesting to imagine. He sounds more assassin based similar to Mephisto or even Malthael but least the damage numbers seem low enough to qualify as a zappy warrior with some CC capabilities, but then again this might be cause of the last recent releases being off putting. I would say most of this kit fits the character you've designed specially since hes from as far back as Diablo 1. Fairly balanced and even viewed from both teams not being way too good as an ally or dreadful to fight against as a enemy and fits that somewhat. I am interested to see how this concept progresses in the coming weeks such as talents and skins namely and if any changes are made or not. Now that I looked it up there are some similarities indeed. Otherwise what do you not like about Mists of Hell? The name? The effect? The synergy? Numbers? Or something else? Well I did not wanted to give him another hard CC when he already has one in his trait. I am aware of the Mephisto similarities because both use lightning other than that I am not sure. 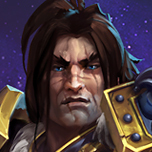 As for him looking more like assassin I think it might be thanks to the fact that ranged tank/warrior is not very common thing in HotS. Sorry got back to ya late, idk personally the Mists of Hell seems just a odd name and visual imagination for it, maybe Vapors of Hell? Mists of Discharge? (actually i might keep that for later) its overall design fits the kit though at least. And i meant more how he works as an Assassin like Mep or Mal not so much the visual similarities. The core idea of the character is pretty simple, but it works to create the idea of a melee assassin who focuses on stacking his abilities to survive as well as disrupt enemies. The character doesn’t have much in his kit that is very interesting, but it’s not the worst. While no one ability is too similar to a character we have right now, he doesn’t really introduce anything special. Several of his abilities seem too much like characters from other games, creating a sort of frankensteinian construct. Examples of other characters who grab him mechanic closely are Kennen from League and Zues from Smite. I’m not one to hinge on this too much, but it just shares too much with those characters for me to find much here interesting. The talents similarly don’t add much to the character, with much of what he has being really simple and mirrored on other characters. Key talents to look at are Thunderblast, Rise of the Storm Lord, Thick Fog, and all of Tier 7. While the entire design is built on the idea of applying Lightning Charges in order to keep yourself alive and disrupt enemies, it oftentimes feels a bit pointless outside of those minor benefits. I think it’s a solid core, but without much else complimenting it, it feels like it is left dry. Abilities in Demonic Fog and Frost Wind don’t help the disassociation the kit suffers from. Another question I have is about Lightning Charges. There seems to be no reason for Lightning Charges to go past 4, since there are no abilities that interact with it besides it stunning enemies with 4, so I would expect a better way to handle it would be the charges getting removed when they detonate. However, that would make his Disruptive Lightning talent almost useless. I think you can add something more here, and clarify it. While certain build paths do emerge from the talent tree, it is a bit superficial, and I’d like to see more combo talents and talents that make some abilities work with others. The character doesn’t really exist in Diablo outside of the generic Lightning Demon, but it still fits the contest, and the kit mostly fits the character archetype. I have no real problems here, and the niche of a lightning user is sorely missed in the game. The character is fairly interactive, with skillshots in all of his abilities and his need to engage enemies constantly to get shields in order to survive. I enjoy the ability for him enemies and allies to know what he is doing at any time, and it opens up the interaction between Maelstrom and other players. While no one ability is too similar to a character we have right now, he doesn’t really introduce anything special. Several of his abilities seem too much like characters from other games, creating a sort of frankensteinian construct. Examples of other characters who grab him mechanic closely are Kennen from League and Zues from Smite. HotS is the only moba I have played for significant amount of time so I can’t really judge that. Abilities in Demonic Fog and Frost Wind don’t help the disassociation the kit suffers from. Added the synergy with trait to Demonic Fog. I know the Frost Wind isn’t the greatest ult but I wanted way for him to setup teamfights and this is what I came up with. There seems to be no reason for Lightning Charges to go past 4, since there are no abilities that interact with it besides it stunning enemies with 4, so I would expect a better way to handle it would be the charges getting removed when they detonate. However, that would make his Disruptive Lightning talent almost useless. I think you can add something more here, and clarify it. The Lightning Charges aren’t intended to go over 4, I see it wasn’t clear so I wrote it to his trait. As for the effects applied by Lightning Charge, they persist even after the stacks are removed that is why they have their own durations. While certain build paths do emerge from the talent tree, it is a bit superficial, and I’d like to see more combo talents and talents that make some abilities work with others. I know the talents are one of the weaker parts, I have already slightly updated one or two but I will try to do more. Just a question should I try to rework/updated them or add new or just replace them? For one, you give the mana costs of all his abilities, but don't say how much mana he actually has, so I can't tell if or how this would affect his play style. The other, I don't know how large the area of his W is. If it's large it might feel a bit strong, if it's small the supportive talents might feel weak. His abilities are basic, but functional, especially when combined with the trait (which is more interesting than some traits currently in the game).Overall, I don't have any complains here. However, you barely added any fluff to the concept with the short description of the visual changes for his tier 3 talents, and provided no ideas for skins, voice lines, etc. (which is what week 3 is supposed to be about), so I'm gonna have to drop a point here. I think his kit works together well, making him a kind of semi-sticky attacker who benefits from prolonged fights, especially inside his fog. He's a demon, and he has a clear play style which works well with the character. I wish you had provided voice lines or something to establish his personality better, though. I don't see any problems with him. His fog could make him the bane of AA assassins, but that's OK, since it's not that hard to play arround. Firstly, thanks for the feedback. I expect him to have "standart" 500 mana but I should have specify that.